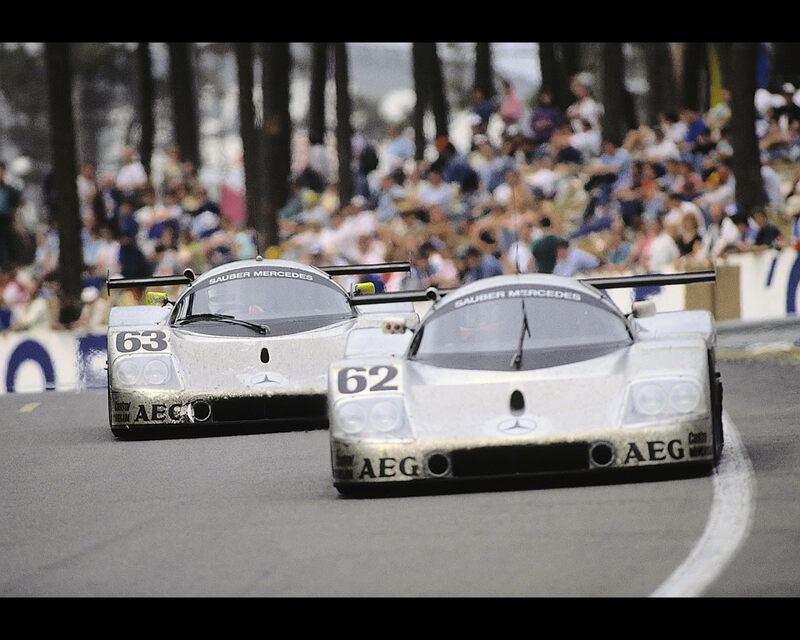 Two Sauber-Mercedes C9 racing sports cars won the 24 hours race at Le Mans in 1989. This double victory (1st and 2nd places) came 37 years after the first win in 1952. The racing cars were powered by the water-cooled four-valve V8 M 119 HL engine with five-liter displacement, developing 720 hp (530 kW) at 7000 rpm. 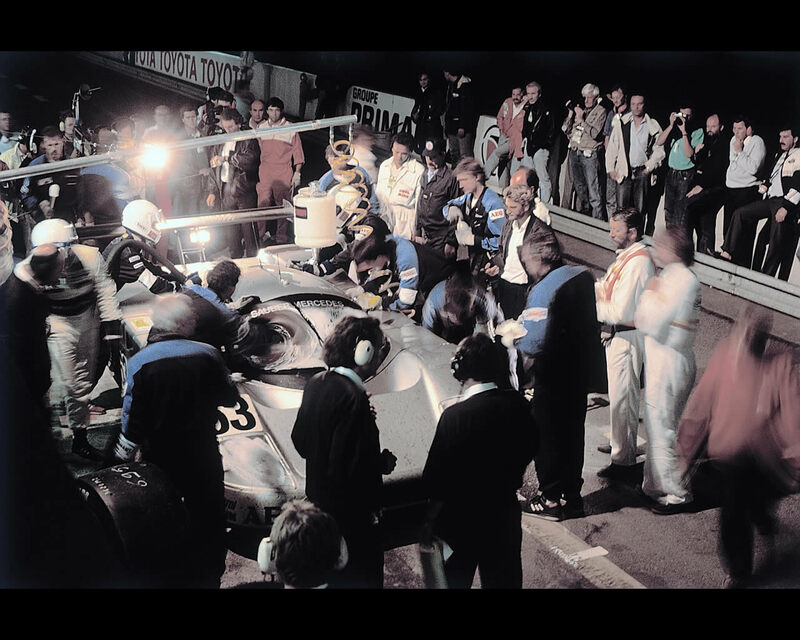 The Swiss engineer Peter Sauber has been constructing sports racing cars since 1970. 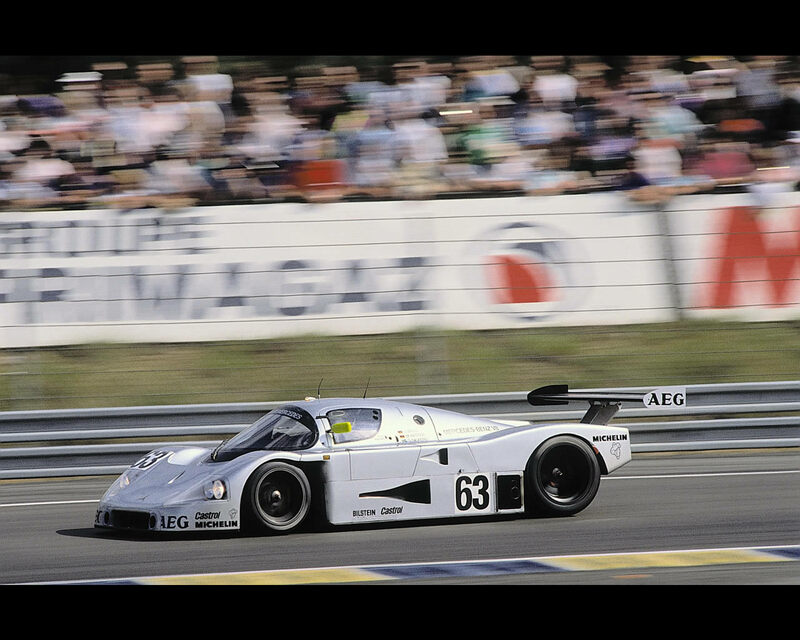 In 1982, together with other Swiss partners, he developed a Group C called C6; the C6 was originally propelled by a Cosworth 3.9 Liters but it was soon replaced by a turbocharged BMW engine. 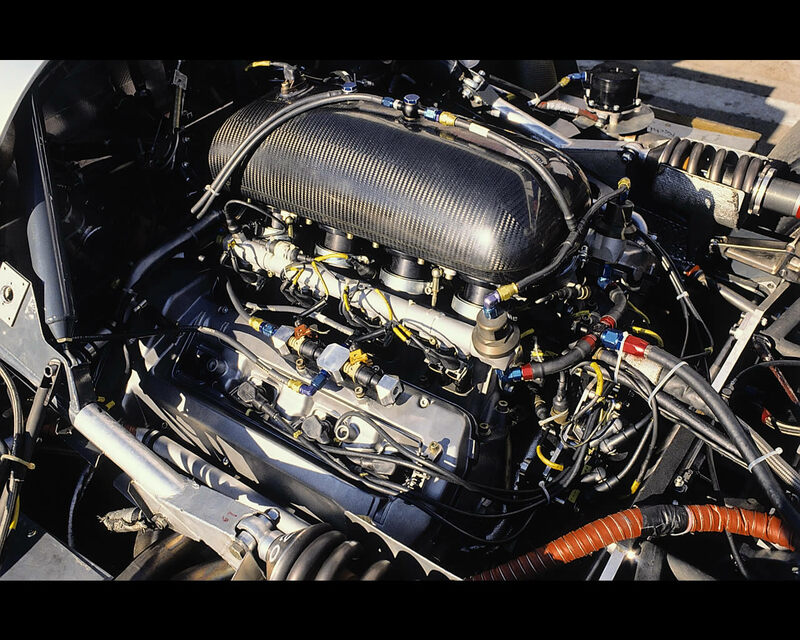 In 1985, Peter Sauber completed the C8 with a twin-turbo Mercedes V8 of 5 liters capacity. 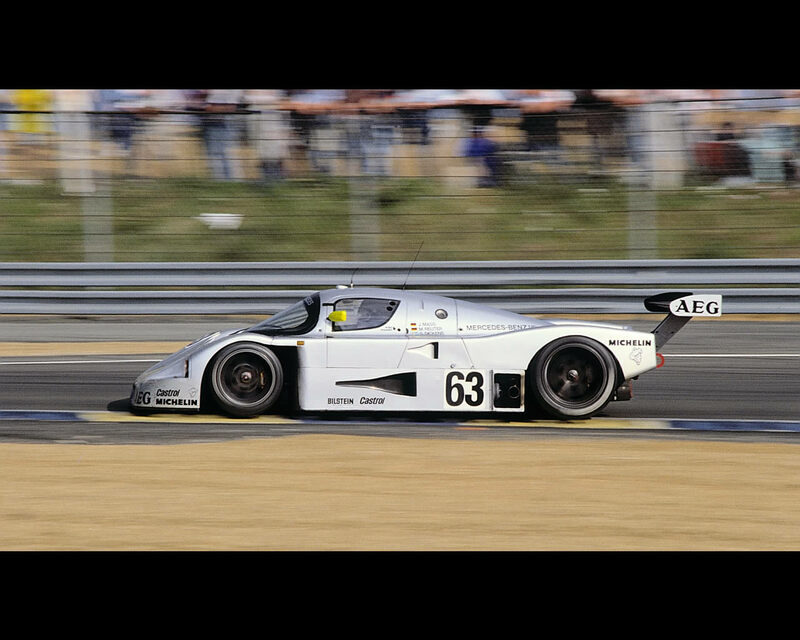 In 1988, after 30 years of abstinence from racing, Mercedes Benz management decided to return to competition in Group C endurance races and provided Peter Sauber with official factory support. 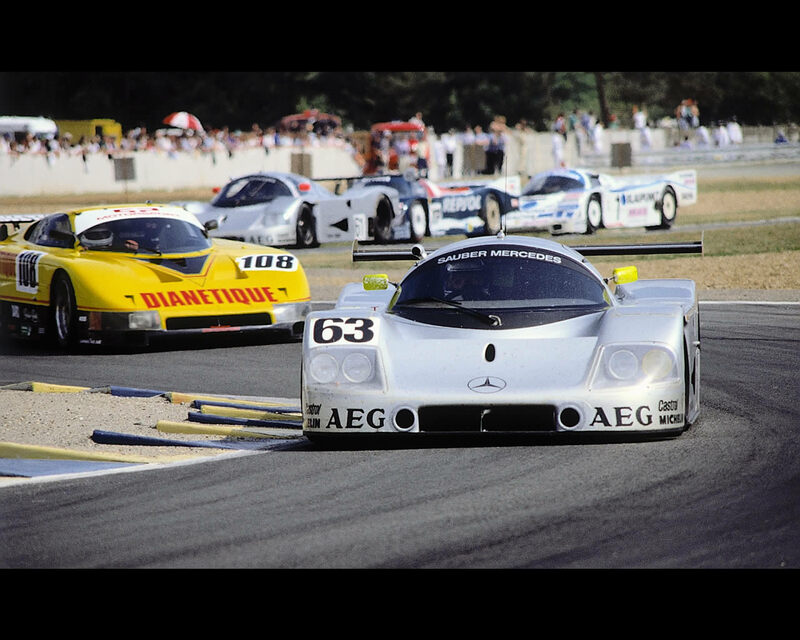 The silver-coloured 1989 Sauber-Mercedes C9 was specially developed for the Group C series. The Sauber-Mercedes C9 weighted 870 kg with a carbon-aramide-fibre reinforced synthetic bodywork and a bonded aluminium sheets structure. 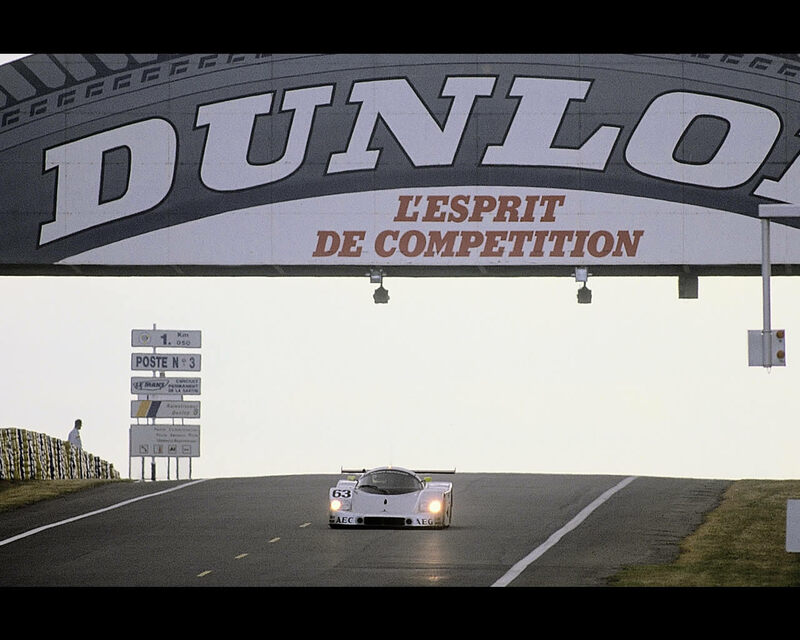 The 24 hours race that took place at Le Mans on 10-11 June 1989 was won by Mercedes drivers Jochen Mass/Manuel Reuter/Stanley Dickens (car N°63) in first position and Mauro Baldi/Kenny Acheson/Gianfranco Brancatelli (car N°61) in second place while driver team Jean-Louis Schlesser / Jean-Pierre Jabouille / Alain Cudini finished fifth in car N°62. It was a double victory just like in 1952 with the “gull-wing” Mercedes 300 SL W194 with the Hermann Lang/Fritz Rieß team.